Author SimaPublished on April 4, 2018 April 11, 2018 Leave a comment on Ultra-Processed Foods and Alzheimer’s? The last post dealt with the link between highly processed food and increased risk of cancer. Now an interesting article written by Dr. Lisa Mosconi (Associate Director of the Alzheimer’s Prevention Clinic at Weill Cornell Medical College/New York -Presbyterian Hospital) refers to that study when discussing research about lifestyles (and especially diet) and later Alzheimer's disease. It'll be interesting to see how this research plays out - is her approach stressing diet (and avoiding ultra-processed food and trans fats) and lifestyle correct or not? Much of what she says definitely makes sense and is supported by research, such as the negative health effects of chronic inflammation, and how eating actual, real foods has beneficial health effects. On the other hand, vitamin, mineral, and fish oil supplements generally don't show those health benefits (as she discusses here). Dementia haunts the United States. There’s no one without a personal story about how dementia has touched someone they care for. But beyond personal stories, the broader narrative is staggering: By 2050, we are on track to have almost 15 million Alzheimer’s patients in the US alone. ... It’s an epidemic that’s already underway—but we don’t recognize it as such. The popular conception of Alzheimer’s is as an inevitable outcome of aging, bad genes, or both. 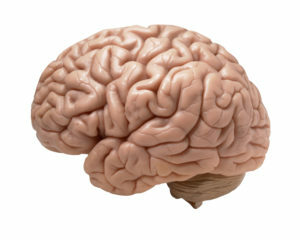 ...continue reading "Ultra-Processed Foods and Alzheimer’s?" Published on April 4, 2018 April 11, 2018 Categories brain, Exercise, healthy aging, healthy living, nutritionTags Alzheimer's disease, trans fats, ultra-processed foodLeave a comment on Ultra-Processed Foods and Alzheimer’s? Higher consumption of dietary trans fatty acids (dTFA), commonly used in processed foods to improve taste, texture and durability, has been linked to worsened memory function in men 45 years old and younger, according to a study. Researchers evaluated data from 1,018 men and women who were asked to complete a dietary survey and memory test involving word recall. On average, men aged 45 and younger recalled 86 words; however, for each additional gram of trans fats consumed daily, performance dropped by 0.76 words. This translates to an expected 12 fewer words recalled by young men with dTFA intake levels matching the highest observed in the study, compared to otherwise similar men consuming no trans fats. After adjusting for age, exercise, education, ethnicity and mood, the link between higher dTFA and poorer memory was maintained in men 45 and younger.The study focused predominantly on men because of a small number of women in this age group. However, including women in the analysis did not change the finding, said Golomb. An association of dTFA to word memory was not observed in older populations. Golomb said this is likely due to dietary effects showing more clearly in younger adults. Insults and injuries to the brain accrue with age and add variability to memory scores that can swamp ability to detect diet effects. Trans fatty acids have been linked to negative effects on lipid profiles, metabolic function, insulin resistance, inflammation and cardiac and general health. In 2013, the United States Food and Drug Administration issued a preliminary determination that trans fats were no longer generally recognized as safe. According to the Centers for Disease Control, reducing dTFA consumption could prevent 10,000 to 20,000 heart attacks and 3,000 to 7,000 coronary heart disease deaths per year in the U.S.
Who Is Behind the Trans Fat in Food Ban? Finally the FDA is phasing out the use of artificial trans fats in foods (found in partially hydrogenated vegetable oils) within 3 years. It turns out that even though for many years scientists and the medical community pushed foods such as margarine (which have trans fats) as healthier than saturated fats such as butter, they were wrong. Instead the trans fats are linked to cardiovascular problems. No one was more pleased by the Food and Drug Administration's decision Tuesday to eliminate artificial trans fats from the U.S. food supply than Fred Kummerow, a 100-year-old University of Illinois professor who has warned about the dangers of the artery-clogging substance for nearly six decades. "Science won out," Kummerow, who sued the FDA in 2013 for not acting sooner, said in an interview from his home in Illinois. "It's very important that we don't have this in our diet." In the 1950s, as a young university researcher, Kummerow convinced a local hospital to let him examine the arteries of people who had died from heart disease. He made a jarring discovery. The tissue contained high levels of artificial trans fat, a substance that had been discovered decades earlier but had become ubiquitous in processed foods throughout the country. Later, he conducted a study showing that rats developed atherosclerosis after being fed artificial trans fats. When he removed the substance from their diets, the atherosclerosis disappeared from their arteries. Kummerow first published his research warning about the dangers of artery-clogging trans fats in 1957. More than a decade later, while serving on a subcommittee of the American Heart Association, he detailed the massive amounts of trans fat in the shortening and margarines lining grocery shelves, and helped convince the food industry to lower the content in certain products. Despite Kummerow's research and warnings over the years, artificial trans fats remained a staple of processed food for decades. Well into the 1980s, many scientists and public health advocates believed that partially hydrogenated oils were preferable to more natural saturated fats. And the food industry was reluctant to do away with artificial trans fats, which were cheaper than their natural counterparts, extended shelf life and gave foods desirable taste and texture. Frustrated by the lack of action, Kummerow filed a 3,000-word citizen petition with the FDA in 2009, citing the mounting body of evidence against trans fat. The first line read: "I request to ban partially hydrogenated fat from the American diet." 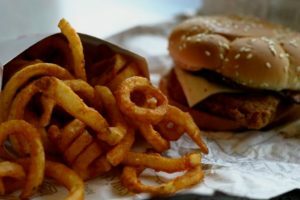 In the 1990s, more and more studies had shown that trans fats were a key culprit in the rising rates of heart disease. The advocacy group Center for Science in the Public Interest also petitioned the FDA in 1994 to require that the substance be listed on nutrition labels -- a move that the agency put into place in 2006. 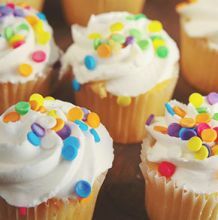 In 2002, the Institute of Medicine found that there was “no safe level of trans fatty acids and people should eat as little of them as possible.” As the dangers of trans fat became clearer, public opinion also shifted, and food companies increasingly removed the substance from products, though it remained in a broad range of foods, from cake frostings to baked goods. Four years after filing his petition and hearing nothing, Kummerow sued the FDA and the Department of Health and Human Services in 2013, with the help of a California law firm. The suit asked a judge to compel the agency to respond to Kummerow's petition and "to ban partially hydrogenated oils unless a complete administrative review finds new evidence for their safety." Three months later, the FDA announced its plans to effectively eliminate trans fats by saying that the substance no longer would be assumed safe for use in human foods. Tuesday's action finalizes that initial proposal, and manufacturers will have three years to reformulate products or to petition the agency for an exception. This latest study confirms the benefits of eating peanuts and nuts. The Netherlands Cohort Study has studied 120, 000 Dutch men and women since 1986, and they found that eating approximately 1/2 handful of peanut or nuts per day is linked to a lower risk of mortality. However, this beneficial effect did not apply to peanut butter, and they theorize that it may be due to the added ingredients in it (salt and vegetable oils that are trans fats) that negate the beneficial effects of nuts. And perhaps eating an all natural peanut butter would have the same beneficial effects as plain nuts. A paper published in the International Journal of Epidemiology confirms a link between peanut and nut intake and lower mortality rates, but finds no protective effect for peanut butter. Men and women who eat at least 10 grams of nuts or peanuts per day have a lower risk of dying from several major causes of death than people who don't consume nuts or peanuts. The reduction in mortality was strongest for respiratory disease, neurodegenerative disease, and diabetes, followed by cancer and cardiovascular diseases. The effects are equal in men and women. Peanuts show at least as strong reductions in mortality as tree nuts, but peanut butter is not associated with lower mortality, researchers from Maastricht University found. This study was carried out within the Netherlands Cohort Study, which has been running since 1986 among over 120,000 Dutch 55-69 year old men and women. The associations between nuts and peanut intake and cardiovascular death confirm earlier results from American and Asian studies that were often focused on cardiovascular diseases. However, in this new study, it was found that mortality due to cancer, diabetes, respiratory, and neurodegenerative diseases was also lowered among users of peanuts and nuts. 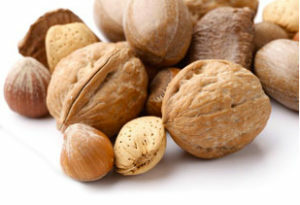 Project leader and epidemiologist Professor Piet van den Brandt commented: "It was remarkable that substantially lower mortality was already observed at consumption levels of 15 grams of nuts or peanuts on average per day (half a handful). A higher intake was not associated with further reduction in mortality risk. This was also supported by a meta-analysis of previously published studies together with the Netherlands Cohort Study, in which cancer and respiratory mortality showed this same dose-response pattern."